Shark Stanley is getting ready to swim around the world to advocate for the creation of shark sanctuaries. He's going to need lots of help. A team of Shark Stanley ambassadors are going to be the champions of his cause, and the first Ambassador is shark attack survivor and gold medal swimmer Achmat Hasseim. We're looking for new Ambassadors. Got any ideas? We've got a few. As you'll see, Shark Stanley is already finding new friends to help him. Last week Shark Stanley met up with Richard Branson in Bimini, The Bahamas. Sir Richard and several dignitaries from the Dutch Caribbean talked about the creation of new shark sanctuaries. Shark Stanley also ran into Neil Degrasse Tyson at an event in Washington, DC this week. Who will he meet next? Will you help him out? Visit www.SharkStanley.com to see how you can be a part of the team that is saving sharks around the globe. 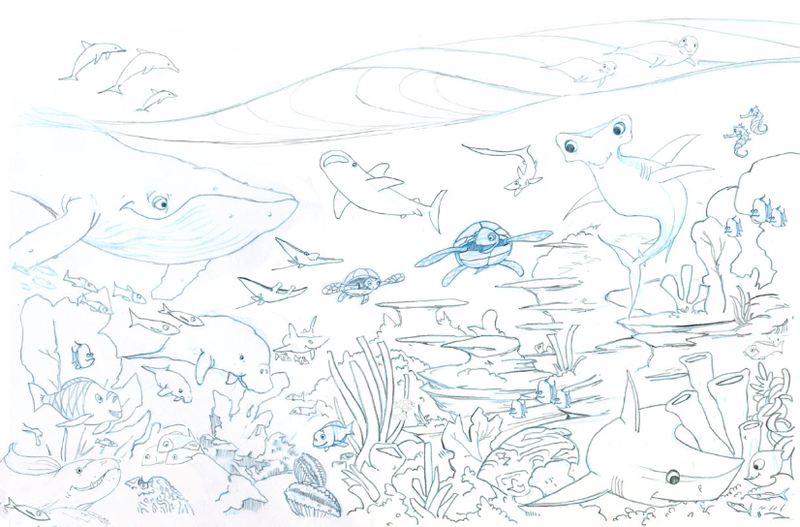 Don't forget to tag your photos with #SharkStanley! I'm sure you remember Shark Stanley from 2013 when he swam to 135 countries to gather support for shark protections at the Convention on the International Trade in Endangered Species of Wild Fauna and Flora, or CITES. With your help we protected hammerhead, porbeagle, and oceanic whitetip sharks, as well as manta rays. 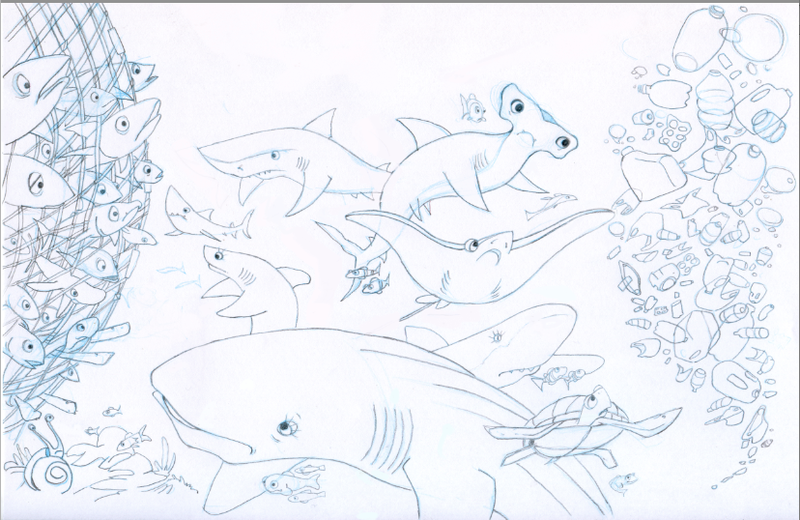 Now Shark Stanley and his friends are turning their attention to creating shark sanctuaries across the globe. Will you help us? We will have a global launch in the coming months, but have an online preview scheduled for World Wildlife Day on March 3. 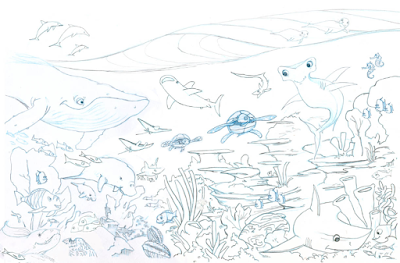 On that day, come back to this blog by visiting www.SharkStanley.com to find out how you can get a free digital copy of the new book, as well as a sneak peek at some of our new materials before the global launch. Are you excited? In the coming days we'll have information on how you can become an official Shark Stanley Friend. We're going to need your help for our global launch in April. In the meantime you can follow Shark Stanley on Facebook, Twitter, and Instagram. Keep an eye on our social networks, because we might just post some more sneak peeks! Do you have children in the school system here in the wonderful Turks and Caicos Islands? If so, they might have shown you a self-colored picture of a cartoon shark named Stanley and explained to you why healthy coral reefs need sharks. Or maybe you are visiting the TCI and would like to know more about the creatures that live beneath these turquoise waters and what you can do to help protect them. Either way, you should get acquainted with Shark Stanley and his new friends on the island and learn why sharks are important. Who exactly is Shark Stanley? Stanley is the face of the global shark awareness campaign dedicated to creating shark sanctuaries and supporting the proper management of sharks and rays. 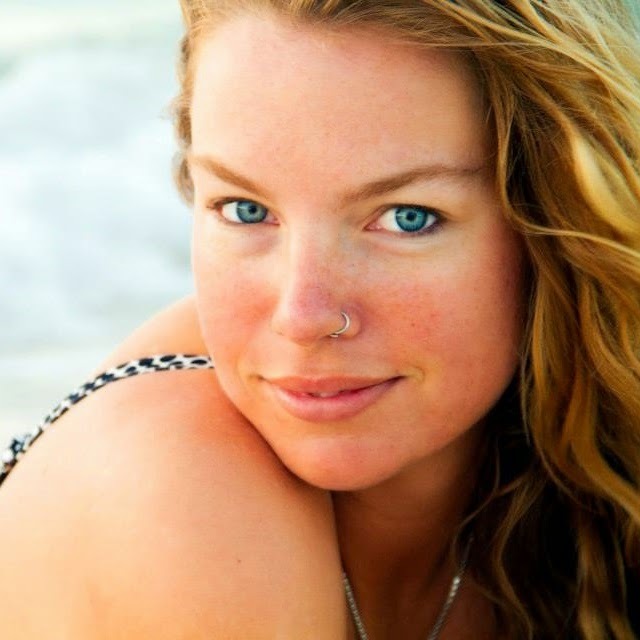 Shark Stanley is the brainchild of former Yale grad student Leah Meth and shark conservationist Angelo Villagomez from The Pew Charitable Trusts. They produced a book The Adventures of Shark Stanley and Friends in which several shark characters team up with kids to protect sharks. He has more than a dozen friends, including a lemon shark from TCI! An updated version of the book is being released in March 2015. 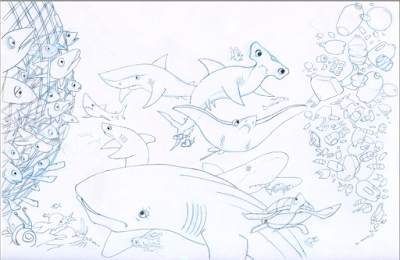 One of the big lessons Shark Stanley teachers is that healthy reefs need sharks. What does a shark have to do with coral reefs? Everything! Jackie Walker at Amanyara’s Nature Discovery Center along with Amy Avenant at DEMA and other individuals are working with Stanley to increase public awareness on why sharks are important to the ocean and to The TCI. Students at Osetta Jolly Primary School, Provo Primary School, British West Indies Collegiate, and TCI Middle School have listened to Stanley's book and learned about sharks in TCI's waters. The student's perception of sharks went from a fearful, “sharks are scary, they eat humans," to a more appreciative, "sharks eat fish for balance, they save the ocean." That is quite a change! The lessons also struck a chord with a teacher at Provo Primary School who said afterwards, "as someone who is slowly getting over a fear of the ocean and sharks in particular, this is something I really want to get involved with." Shark Stanley has also been swimming about the island to various events and locations taking ‘selfies’ in the community. He has been to Long Bay, Blue Hills, and even trick-or-treating! He handed out wristbands and read his book to excited children with Santa. It is not every day that you get the opportunity to hug a happy hammerhead and tweet @tcisharks or instagram #tcisharks. Shark Stanley is trying to change the global perception of sharks and to teach people to appreciate what sharks do in an ocean that humans so heavily depend on. Stanley also teaches us about the top predator’s key role in the marine ecosystem. Sharks have been around for 450 million years and the ocean needs them. Healthy and biologically diverse shark populations are important to maintain the balance of marine life, including commercially important species that end up on our dinner plates. Ecosystems function as a check and balance system; things can get out of balance if you take out an important piece of the puzzle. Sharks keep fish populations in check and with their varied diet help to maintain the biodiversity coral reefs support. Algae would smother and kill the coral reef if sharks didn’t control the food chain; specifically both the carnivorous and herbivorous fish below them. No tourist wants to snorkel or dive on a reef overcome with algae, or one that is no longer alive. Talking with marine biologists and experts in the field that have recently visited TCI, we have learned that many places around the world are experiencing a decline in shark populations, including here in the TCI. We still see sharks on almost every dive here, but their populations are a far cry from what they used to be. Scientists estimate that over 100 million sharks are killed every year in commercial fisheries. Nearly 30 percent of known shark species fully assessed by scientists are threatened with extinction and another 26 percent close to becoming threatened in the near future. The global shark population decline is immense; before we know it we will no longer get to experience these magnificent and humbling animals in our oceans and will be left with the consequences of an unbalanced marine ecosystem. The TCI has the opportunity to be a part of the global movement to save sharks. To date, nine countries and overseas territories have created shark sanctuaries, ending the commercial fishing of sharks in their waters. Will you join us? You can show your support by getting involved with Shark Stanley and posting your ‘selfie’ to social networks with the hashtag #SharkStanley and #TCIsharks. Another way to get involved in shark conservation in TCI is to come get inspired by international shark conservationist Rob Stewart when he comes to Providenciales March 26-March 28, 2015 for a Shark Weekend. Rob is an award winning wildlife photographer and director of the documentary Sharkwater (2007). This film is a visually stunning, eye-opening film that takes you on a journey to the most shark rich waters and exposes the exploitation and corruption surrounding the marine reserves they belong to. The film has won 31 international awards and is a powerful piece that leads us into the discussion of shark conservation for the future of the oceans. 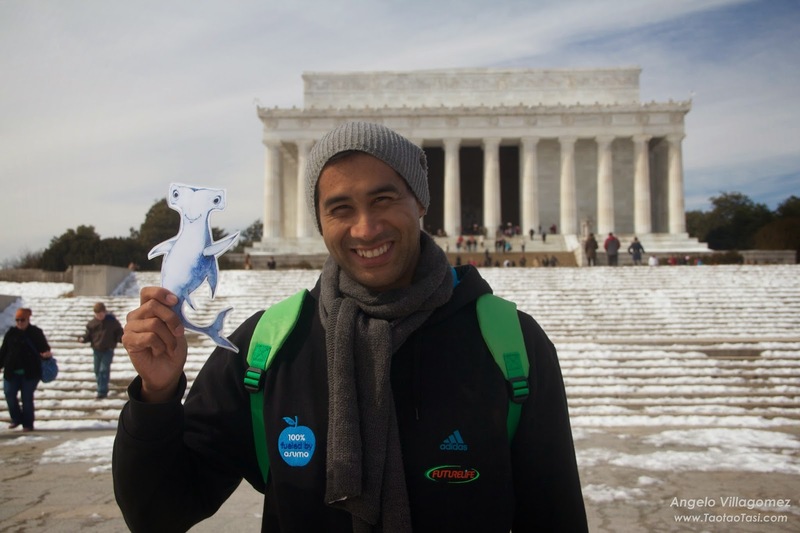 Rob will visit select local schools to engage students and increase awareness about sharks. He will partake in a community conservation luncheon, an exclusive documentary screening at Amanyara and go scuba diving with local reef club student members to educate on community conservation and involvement. 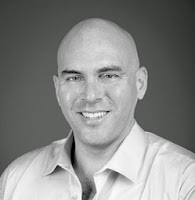 Don’t miss Rob’s special community event on Saturday March 28th, 2015. This special conservation presentation and screening of the documentary Sharkwater will be open to the public, taking place at Brayton Hall at 7:00pm. Tickets are available in advance or at the door. For more information on this Shark Weekend please contact jwalker@amanresorts.com. Shark weekend is supported by DEMA, Amanyara Resport, BWIC, Edward Gartland Youth Centre, and Big Blue Unlimited. You can get involved! To learn more about Shark Stanley and his cause you can visit SharkStanley.com or visit the Facebook page Caribbean Shark Defenders, Tweet @tcisharks, Instagram #tcisharks, or write a support letter about why you love sharks and why they need our help and send it to tina@pacificu.edu. Keep an eye out for Shark Stanley at schools and events and take the time to learn about why you should care about sharks, why they are important for everyone and how you can get involved in their conservation. Trinidad & Tobago is famous for being at the forefront of sea turtle protection and for the delicious bake and shark. But what if eating shark puts turtles at risk? Healthy reefs need sharks to create ecosystem balance. Even turtle populations can cause problems when they do not have predators to keep them in check. T&T banned the hunting of marine turtles in 2011 but what effect can this have on a wider marine ecosystem in which sharks are driven to extinction? This question struck a cord with me after a dive at Macqueripe Bay, in the proposed Tucker Valley National Park, Chaguaramas. Within a relatively small area I saw five turtles—two critically endangered hawksbill turtles (Eretmochelys imbricate) and three endangered green sea turtles (Chelonia mydas). Only one hawksbill was an adult. It a kept a weary distance, a result of pre-ban turtle hunting by spear fishermen. The other four observed turtles had probably never experienced life before the hunting ban. None of them had ever faced the business end of a spear so fearless of humans they showed no avoidance behaviour. It seems that there is strong population growth. Will there be a time that there will too many turtles for the bay to support and will the absence of sharks then become a problem? Sea turtle conservation has been successful throughout much of the Atlantic area. Simple conservation efforts like protecting turtles and turtle nesting beaches, the banning of gill nets and the introduction of Turtle Exclusion Devices (TEDs) has resulted in a growth rate of between 4-16 per cent for the green sea turtle population. Green sea turtles are mostly herbivorous. Seagrass beds are like the meadows of the ocean. Grazing sea turtles eat large amounts of seagrass. Historically they played an important role in maintaining healthy seagrass beds by pruning the seagrass canopy and preventing the build-up of dead matter. Green sea turtles were nearly hunted to extinction by humans and a knock on effect of their plummeting numbers may have been the mass die-off of seagrasses in the 20th century. Seagrass meadows offer important ecosystem services like habitat for many fish species and carbon sequestration. Sea turtle numbers have bounced back in Bermuda. It is a conservation success but one that throws up a new challenge as sea turtles are overgrazing the seagrass beds. Some seagrass beds have been completely destroyed. The problem is that sea turtles are being reintroduced to an ecosystem that is completely altered by humans. Humans aside, sharks are the main turtle predators. But overfishing has decimated their numbers and up to 25 per cent of shark species are in danger of extinction by the year 2050. Tiger sharks used to keep sea turtle numbers in balance, but they are now near threatened themselves. Pew Charitable Trust, based in Washington DC, is at the forefront of worldwide shark conservation and a major driver behind the establishment of shark sanctuaries. Pew’s Angelo Villagomez explained to me that: “There was a study recently by Dr Mike Heithaus showing sharks regulate the behaviour of turtles, which in turn benefits the ecosystem. If there are no sharks, the turtles can overgraze seagrass beds, which can be important breeding and pupping grounds for fish, as well as carbon sinks.” Tiger sharks do more than just limit turtle numbers. They also alter their behaviour by influencing where turtles graze. In the absence of sharks turtles will choose to graze the tastiest, most nutritious sea grass beds, which become overgrazed and then destroyed. When tiger sharks are in the area turtles behaviour is influenced by fear. They spend less time in the most desirable seagrass areas and do not overgraze. In order to protect sea turtles we must protect sea turtle habitat. Protecting sea turtle habitat means protecting the sharks that are turtles’ main predator. Predators do not only affect numbers and health of prey, they also influence habitat, like seagrass beds. This is in no way a call to cull sea turtle numbers. Marine turtles are still faced with the threat of extinction. Sea turtle recovery will take many decades or longer. If the population is to recover to healthy levels we need to protect the different parts of the ecosystem with which sea turtles interact. T&T is the number six exporter of shark fin to Hong Kong. This makes T&T a global player in the demise of sharks. This trade must be halted. Bake and shark is a national food, a culinary delight for which locals and visitors travel to Maracas beach. It is a tradition, but traditions must change when they become unsustainable. Please enjoy a sustainable alternative like bake and flying fish or bake and cheese. T&T tradition is eating delicious food, not eating endangered species. 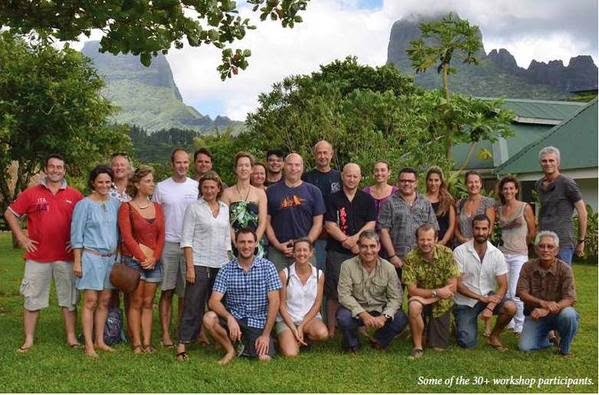 Workshop attendees hailed from several countries including Australia, Colombia, Fiji, France, French Polynesia, New Caledonia, the United Kingdom, the United States, and Samoa. Late last year a grouping of shark enthusiasts working in various fields of tourism, conservation, government, and science met to discuss the status of shark conservation. In their meetings they agreed that overfishing is driving the decline of shark populations. In fact, Worm et al 2013 showed us that we are fishing them twice as fast as they can reproduce. Among the major topics at the workshop, specialists gave close consideration to the current process based on setting up large zones where sharks are protected. French Polynesia banned shark fishing in 2006 (except for the mako fishery, which was only banned in 2012) inside its exclusive economic zone. Palau and New Caledonia have recently set up the same type of shark protection zone. But above and beyond these decisions, which are widely covered by the media, how effective are they in protecting sharks? This question is all the more relevant when we consider that tuna fishing continues to take place within those zones, with its bycatch that includes sharks. Even though bycatch sharks may not be kept onboard, catch-related mortality rates are high. Workshop participants agreed that although sanctuaries are not a miracle solution, they are effective, particularly if they include an efficient fisheries control system and shark population monitoring. 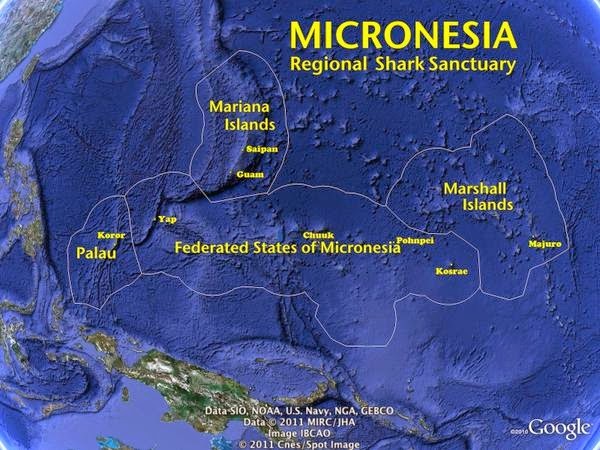 The Federated States of Micronesia are set to become the second largest shark sanctuary on the planet. During the final hours in the afternoon of February 4, 2015, the 18th Congress of the Federated States of Micronesia passed a law which amends Title 24 of the FSM Code to include the prohibition of possessing, handling and selling of shark and shark fin in all of FSM’s Exclusive Economic Zone. With this new shark law, FSM now joins the Republic of Palau (ROP), the republic of Marshall Islands (RMI), US territory of Guam and the Commonwealth of the Mariana Island (CMI) in the effort to protect the declining population of sharks in Micronesian waters. FSM’s 200-mile EEZ covers a sea area of more than 3 million square kilometers (1.3 million square miles) representing the largest single EEZ among the three eastern Micronesia countries. Pew marine fellow Willy Kostka of The Pew Charitable Trusts, shark sanctuary bill sponsor Senator Singkoro Harper of Chuuk, Ricky Carl of the Nature Conservancy, and Carlotta Leon Guerrero of The Pew Charitable Trusts after passage of the bill by the Congress of the Federated States of Micronesia. The bill now sits on President Manny Mori's desk awaiting signature. Remember those amazing kids on Guam who are standing up to protect their shark law? They just launched a contest to build more community understanding of the issues surrounding sharks and why they need protections. Do you live in Guam and want to participate? Email them at sharkloversguam@gmail.com. Marine Mania (4-H) is proud to announce the first-ever S.O.S. – Save Our Sharks Video Contest! This is a contest that will educate and promote the protection of sharks around Guam’s waters. If you don’t already know, SHARKS ARE FRIENDS, NOT FOOD… AND CERTAINLY NOT MINDLESS KILLING MACHINES. Sharks play a vital role in keeping our marine ecosystem healthy, and it is our responsibility to educate other people about it. In this video contest, students will do just that! Students will research the importance of sharks and create a short video that will convince others to protect them. AM I ELIGIBLE TO ENTER THE CONTEST? If you are between the ages of 14 - 21, YES! You are allowed to enter as an individual or enter with a group of 2 - 5 members. All members must be in within the age requirement. Should a group win a prize, the decision on how the prize will be divided will be up to the group. The theme is “Save Our Sharks.” Explain in your video why everyone should save our sharks and suggest ways we can save them. Brainstorm and feel free to explore different aspects dealing with shark conservancy and protection. Are sharks important? Do we really need them? Why should we protect them? Use these question to help you get started on your research. Most importantly, make sure that the video is convincing! The goal is to get the public to realize that sharks are friends, not food… And certainly not mindless killing machines. Use this idea to guide you when making your video. Wild Life Risk has published a new tool on their website showing which airlines do or do not ship shark fins. The transport of shark fins on airplanes has received a lot of attention in recent years. Cathay Pacific became the first airline to stop carrying shark fins in 2012. The data for the tool was obtained from Wild Life Risk by writing to airlines and asking them about their shark fin policies. Their responses have all been published. Amazingly enough, on the first day of the tool's launch, airlines have begun to respond. Fiji Airways told Wild Life Risk that they were only shipping "sustainable" shark fin. However, in response to the reports on Twitter that they were still shipping shark fin, they are now claiming that they have not shipped shark fin since May 2013, nearly two years! This is excellent news! It will be interesting to see how other airlines, especially some of the larger airlines, respond to this new tool. Yes, United Airlines, we are all looking at you! On Friday, Jan. 23, 2015, an unveiling ceremony was held at the Yap International Airport terminal to commemorate Yap state’s stance on shark protection and marine conservation. The short ceremony commenced seven minutes after 3 p.m. in the afternoon, in the waiting area/arrivals entrance of the airport terminal. Attending the event were leaders of the Yap State Government — the 9th Yap State Legislature, the Office of the Governor, the Council of Pilung, and the Council of Tamol — the Yap Fishing Authority, Yap Community Action Program, Marine Resources Management Division, Yap Environmental Protection Agency, airport management as well as the representative of the project’s spearheading entity, the Micronesia Conservation Trust or MCT. Master of ceremony Tim Ruda, also an employee of the airport management, opened the ceremony by welcoming everyone and then introducing MCT’s capacity-building program manager Betty Tulensa Sigrah. After offering her salutations on behalf of herself and MCT Executive Director Willy Kostka to the gathered state leaders and entities, Sigrah began her remarks by emphasizing the momentous occasion, as it showed a unified understanding of the importance of ocean resources and a unified commitment to safeguard those resources. She shared that an estimated 100 million sharks are killed annually. Sharks are a crucial part of the marine ecosystem and island heritage; as such, several Pacific and Asian nations have made commitments to save sharks in recent years, including, among others, the Cook Islands. French Polynesia, the Marshall Islands, and popularly Palau. She went on to share the history leading to the occasion, starting from the commitment of the 2011 Micronesian Chief Executive Summit to create a Micronesian shark sanctuary, to the Pacific movement for more shark protection. Within the Federated States of Micronesia, the four states have worked on legislations concerning shark protection — starting with Kosrae in 2012, Pohnpei and Yap in 2013, and Chuuk in 2014 — with the ultimate goal of having the entire FSM declared a shark sanctuary. She shared that national legislation for such an act is currently under review with the FSM attorney general, and bids Yap to request the [resident for a swift declaration of the FSM shark sanctuary. She acknowledged the many collaborations along the way that made the entire endeavor possible, and also recognized Yap Community Action Program for its work in Yap. On behalf of the 9th Legislature of the State of Yap, Speaker Theodore “Ted” Rutun spoke next. He thanked Betty for coming to all the way to Yap, and expressed his gratitude to her and MCT for their commitment to saving the sharks and safeguarding natural heritage. He noted that the unveiling of the message board at the airport will reveal a whole lot — mainly to incoming visitors and the public that Yap recognizes and protects its sharks and marine resources. Speaker Rutun stated that Yap already has a law in place providing for the protection of sharks as well as whales and dolphins — Yap State Law 8-44 — since June 17, 2013. He also shared that another conservation measure concerning the humphead wrasse is pending with Legislature. However, Speaker Rutun cautioned that despite protective legislation, active patrolling and surveillance of FSM waters is essential for such measures to be effective, and bids MCT and the national government to set up such a system, especially in Yap state’s vast marine territory. He also requested of MCT to share identified endangered species so that Yap may also work to protect them. Following the speaker’s remarks was Lt. Gov. James Yangetmai’s witty speech. After joking that his first remarks after becoming the lt. governor was this unveiling, he assured everyone that he will not forget the memorable occasion. He recognized the speaker, representatives of the Council of Pilung and the Council of Tamol, Mrs. Sigrah and the gathering to the occasion. He shared his childhood memory in Ifalik Atoll and how even then he was taught to respect sharks; sharks are an inherent part of the island heritage and marine ecosystem. He then thanked everyone responsible for the momentous undertaking. After the remarks, the unveiling of the message board took place, with refreshments provided. Within the arrivals area and above one of the customs tables of the terminal was the board. With a background of a traditional meeting house on one side and several sharks swimming in the deep ocean on the other, the message on the board reads, “Welcome to Yap, where sharks are protected — Healthy Reefs Need Sharks.” On the bottom right corner are the symbols for MCT, Yap state government and the Pew Charitable Trusts. More than 8,000 Micronesian students have signed a petition in support of national FSM shark protections. The signers come from all four states of the FSM, Palau, the Northern Marianas, the Marshall Islands, and Guam. “The first step in protecting sharks is putting a strong law in place. We are so pleased that Yap is showcasing their state shark protection law. We sincerely hope that the National Congress will soon follow suit and protect sharks in FSM’s full EEZ by passing a law this session,” said Willy Kostka, executive director for the Micronesia Conservation Trust. For more information on the Micronesia Conservation Trust, visit its website at www.ourmicronesia.org/.